John Fish spoke about the USOC selecting Boston as its applicant city to host the 2024 Olympic and Paralympic Games . 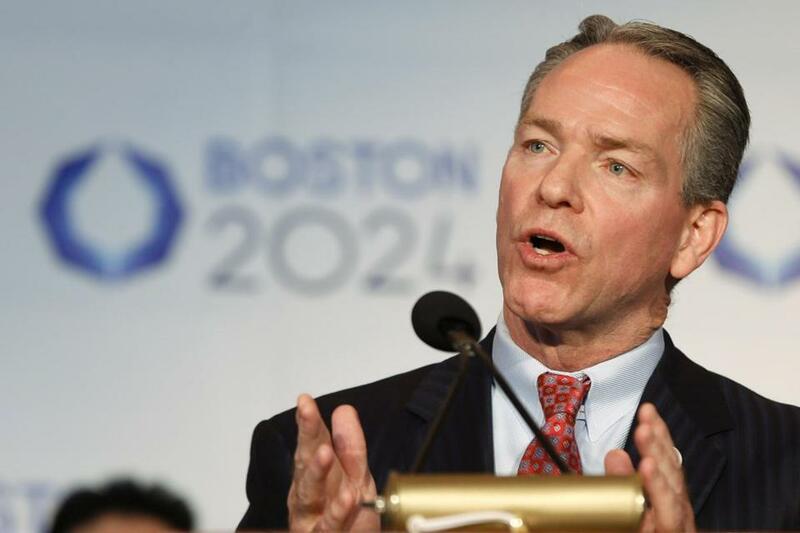 John Fish, head of the Boston 2024 Olympic campaign, said Friday he is recusing himself and his company, Suffolk Construction, from any Olympic-related building. A number of sports venues and a temporary Olympic stadium would have to be built, if Boston is named Olympic host city. The US Olympic Committee on Thursday chose Boston as the US nominee in the worldwide competition for the 2024 Summer Games, picking Boston over competing bids from San Francisco, Los Angeles, and Washington, D.C.
Fish’s company is one of the city’s most prominent building firms. Some critics have suggested that he may be pushing an Olympic bid to benefit his firm. Fish said he intended to continue working on the Olympic bid. The International Olympic Committee will select the host of the 2024 Games in 2017.